The blaze ripped through a house at Cateswell Road, Springfield, at about 05:00 BST this morning. A woman has died and five other people have been injured. The woman, believed to be in her 50s, was confirmed dead at the scene. A teenage girl “sustained approximately 70% burns”, the ambulance service said. Up to 25 firefighters tackled the blaze, the fire is out but Cateswell Road has been cordoned off and remains closed to traffic. 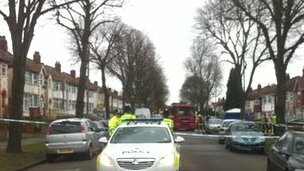 Cateswell Road remains closed to traffic and the two houses either side were evacuated during the blaze. An investigation into its cause is under way. 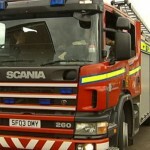 A 58-year-old woman has died following a fire at her home in East Ayrshire, yesterday morning. Emergency services were called shortly after 08:30 after the blaze broke out in an upstairs bedroom, fire crews entered the property and extinguished the blaze. The woman, who has not been named, was pronounced dead at the scene. A report will be submitted to the procurator fiscal. It is not thought that the fire was suspicious. 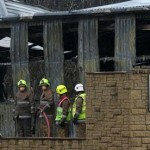 Fire broke out at a Scottish zoo in the early hours of Sunday morning leaving reptiles, insects and an otter dead. The alarm was raised at about 4am. 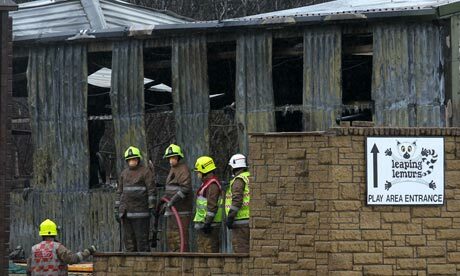 Around 50 firefighters tackled the blaze at the reptile house of Five Sisters Zoo in Polbeth, West Lothian. Lesley Coupar, from marketing and visitor services at the zoo, described the blaze as “the worst nightmare”. “We’re in the business of rescuing animals, giving a safe haven to animals,” she said. “To look now at the shell of the reptile house and everything gone from there, it’s just the worst tragedy ever. The owners are obviously distraught, as are we all. We’re all animal lovers. Full details of the animals affected will not be available until it is safe for zoo staff to access affected areas. Apart from the otter, the animals that died were in the reptile house. An investigation into the cause of the fire will be launched. The court today heard of how Lee-Anna Shiers was killed in a fire at her Prestatyn home October 19 last year. It was claimed that Melanie Smith, 42, was drinking heavily on the day leading up to the fire and was heard shouting through Ms Shiers letterbox “I’m going to burn your house down”. Smith and neighbour Lee-Anna Shiers argued for up to two months before the blaze, the court was told. The row is said to have intensified over a pram which was left in a walkway outside their flat. Smith is accused of killing the family of five by setting the pram alight. 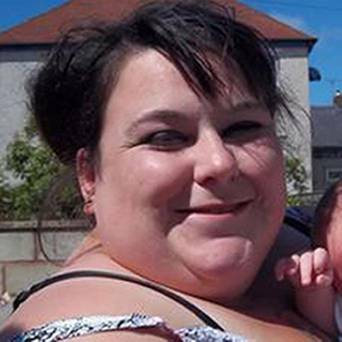 Ms Shiers, 20, her four-year-old nephew Bailey and two-year-old niece Skye died in the blaze at their home in North Wales. Firefighters managed to rescue Ms Shiers’ 15-month-old son Charlie and his father, Liam Timbrell, 23, from their first-floor flat but they both died in hospital. Smith, 42, who lived in the flat below the victims in Maes y Groes, Prestatyn, has gone on trial at Mold Crown Court accused of murdering them. The jury was told that Mr Timbrell later told rescuing paramedics that “it was arson” and “it was Mel from downstairs”. Smith denies the five murder charges and also one count of making a threat to destroy or damage property. Derby City Council leader Paul Bayliss has confirmed the council’s intention to knock down the house where Mick Philpott killed his six children by torching the property as they slept . The plan will be to consult the local community on what should replace the buildings. The charred shell of 18 Victory Road, in Derby, has been standing boarded-up and empty since the fire. The house will demolished, British councillors have promised. Last week, Philpott was jailed for life for the manslaughter of his children, Jade Philpott, 10, and her brothers John, nine, Jack, eight, Jesse, six, Jayden, five, and Duwayne, 13. He has been ordered to serve a minimum of 15 years before he is considered for release. His wife, Mairead, and their friend, Paul Mosley, were each jailed for 17 years. An online petition has already been launched urging the local authority to install a memorial garden. Council leader Paul Bayliss told the Derby Telegraph: “Who would want to live in a house where six children have died and why would you want to live next door to a house where six children have died? The house, which was focus of tributes to the six children again last week, has stood as a sombre reminder of the terrible events of the early hours of May 11 last year. The jury at Nottingham Crown Court found that Philpott, 56, his 32-year-old wife, and Mosley, 46, started the fire in a bid to frame Lisa Willis, Philpott’s former girlfriend. Willis and her children used to live with the Philpotts but had moved out weeks earlier.